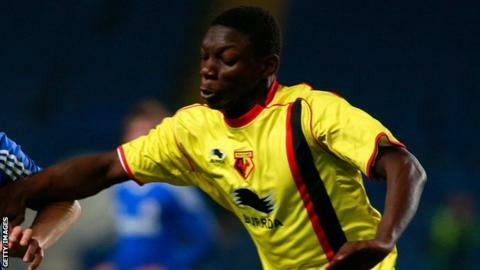 Conference leaders Barnet have signed teenage Watford striker Bernard Mensah on loan until 5 January. The 19-year-old came through the Hornets' academy and made his senior debut during a 1-0 home Championship defeat by Bolton in November 2013. He joined Conference rivals Braintree on loan in March and scored twice in seven starts for the Iron. Watford have granted Mensah permission to play in the Bees' FA Cup first-round tie against Wycombe on Saturday.